Coding Bootcamp Praha will celebrate upcoming Christmas together! 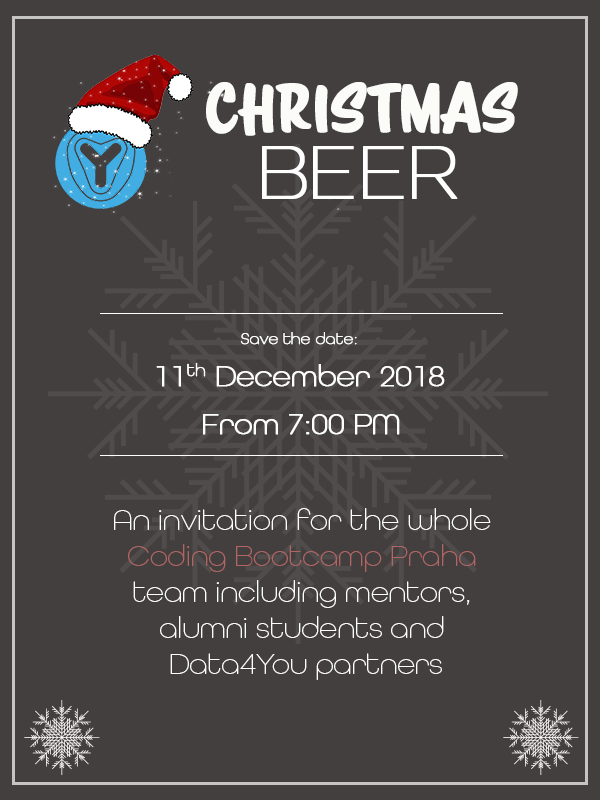 On December 11th from 7:00 PM, Coding Bootcamp Praha will be holding a Christmas party! We would like to invite all our alumni students, instructors, mentors and Data4You partners to join us at this event where we will also celebrate 2nd birthday of our bootcamp. If you are interested and want to spend a fun evening with us, please confirm your attendance HERE! Location will be specified later to all the confirmed guests.